Darkbeast Author Interview + Giveaway! 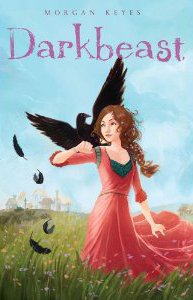 And I'm offering a copy of DARKBEAST to one random commenter - BUT you have to take the Darkbeast quiz (http://www.morgankeyes.com/?page_id=17) and tell us what your Darkbeast is in the comment to win!! Also please include your email addy so I can get in touch with you. The contest is open until Friday, September 28th at midnight Eastern time. See the interview below to find out MY Darkbeast. Last weekend my husband had a number of events to attend for his job (historical chocolate manager for M&M/Mars) and I happily tagged along. One of those events was a NASCAR race - the one in Richmond, Virginia on Saturday, September 8. Well, I'm not a NASCAR fan - football is my sport, however, I like to experience new things and this invite wasn't just a couple of seats in the bleachers. Oh no! 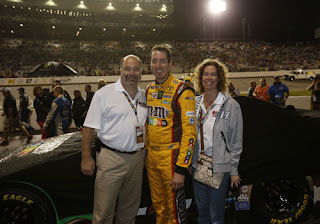 You see Mars sponsors Kyle Busch's car - #18 and we had full access to...well, everything. Rodney and Joe Gibbs - owner of Kyle's car. Sooooo...... What do you think?